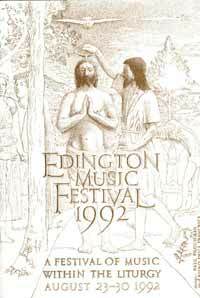 Welcome to the 1992 Festival of Church Music at Edington. 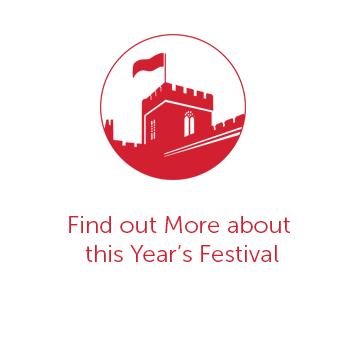 As many of you will know, this year is my first as Festival Director, although the fifth since I first came to sing. The year has been both pleasurable and taxing. Pleasurable because of the luxury of choosing music and literature for such a magnificent setting, and taxing because of the illustrious line of my predecessors and their very obvious successes. In this task I have been helped enormously by David Trendell. His knowledge of music, literature and liturgy have greatly contributed to Edington in the last few years and his patience, sense of humour and gentle advice have been invaluable to me. I must take this opportunity to record our thanks to him for all his work as Festival Director and I am delighted that he is continuing to be involved as Director of the Nave Choir. Since its founding in 1956, the Festival has been concerned with music in its appropriate context. There has also been a strong feeling that the services are carried out reverently and carefully and for this we owe a great debt of thanks to our priests. But what is the point of Edington? Why spend so much time preparing and carrying out the services? Surely, the point is that we must use the week, its fellowship, its beauty and feel refreshed and encouraged. 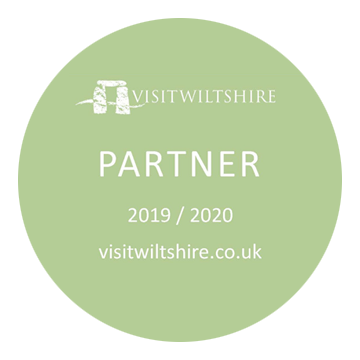 It is not enough for us to descend on the village of Edington and escape from the real world, we must take something away with us. A sense of calm, a sense of prayer, a sense of the presence of God. A feeling that we have been removed from the turbulence of life, that we have been given the luxury of listening to glorious music and words, so that when we return to our own lives we are that much more able to cope with ‘the agonies, the strife of human hearts’ (Keats). Each day of the Festival we have the opportunity to worship God at regular intervals – Matins, Eucharist, Evensong, Sequence and Compline. This routine, with its gentle inevitability and exploration of Biblical texts, psalmody and theological thought is a very special part of Edington. It was first identified by David Calcutt, and has been part of the worship of men and women for centuries – the daily celebration of the Eucharist and the Opus Dei. The Opus Dei was enshrined by St. Benedict (c.480 – c.550) in his Rule for the monks at Monte Cassino. ‘The Rule affirmed the centrality within communal life of a constant pattern of daily prayer – Opus Dei, God’s work, the so-called Divine Office – alongside study and manual work’ (John Harper). How spoilt we are here at Edington. Let us use our worship to join the thoughts of those throughout the ages. Not just the original Augustinian Bonhommes of Edington, but their successors, and the countless faithful throughout the world who raise their minds in prayer to God. The theme for this year reflects the universality and timelessness of our faith. Discipleship and the Saints, however is not designed merely to be a celebration of Christians long dead. Certainly it honours all God’s saints but more importantly it allows us to examine our own life, our own ‘sainthood’. ‘Saints are people who have had an encounter with God, however they name him, and have their lives changed as a consequence.’ (George Appleton). Starting with our reaction to God’s calling on Monday (St. Bartholomew), then examining elements of our own lives as reflected in the lives of the Saints: Evangelism (a much abused word in our day); Temptation; and Martyrdom is, thank God, something which we in this country are hardly ever likely to suffer. Yet oppression and repression still exist. Thursday’s Sequence contains a powerful poem by Dietrich Bonhoeffer, the young pastor imprisoned during World War Two and tragically put to death in its final stages. It is a poem full of strength and common sense and with a feeling of the inner confidence that faith can bring. Then we move to Prayer, our link with God, the bringer of comfort and strength and an indispensable part of our life as Christians, and finally to Witness. How good are we at reflecting our Christianity in every day life? This is surely where the examples of the Saints are most important. They were ordinary people on the whole, people who suffered, who felt personal pain, temptation, who fell but continued living their lives devoted to God. Musically, there is a wide choice of styles and periods as always. On Tuesday rather than a Sequence there will be a service of Vespers in honour of St. Luke. It has been some years now since Vespers was part of the Festival and I hope that its beauty and order will be pleasing. The other two Sequences remain including a liturgical drama on Saturday evening. There are many people that I need to thank for their invaluable advice and help throughout my first year, especially Patrick Elwood, Janet McMullin, John Barnard, Paul Proudman and Cally Hammond and to any who have had to put up with the development of my thoughts and ideas! And, as always, particular thanks to the Church community and all the villagers of Edington, and the surrounding areas.